The Tony Tamplin Memorial Garden commemorates Senior Constable Tony Tamplin who collapsed and died at work at the age of 54 in 2013. Senior Constable Tony Tamplin was Newcastle's longest serving police officer. 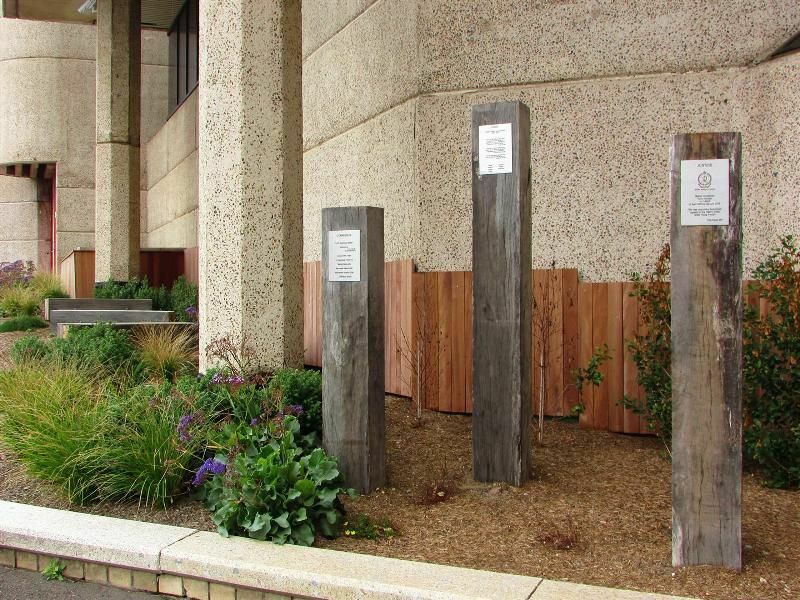 The garden, which is adjacent to the Newcastle police station in Watt Street, boasts three wooden pillars with plaques for justice, representing his police ties, family and community, where he was a champion for several charities. 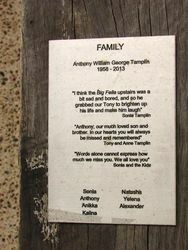 Senior Constable Tony Tamplin was a man of many layers. He was a family man and a tireless aid worker who donated much of his spare time to assisting local charities. 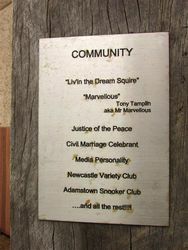 He was also a jovial and hugely popular marriage celebrant. 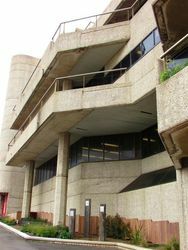 Above all, he was a stalwart of the NSW Police Force and before his death had celebrated 35 years in uniform. 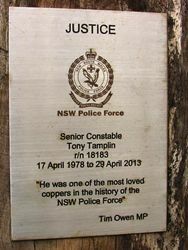 Over the course of his distinguished career, Senior Constable Tamplin became the face of the New South Wales police across the Hunter. He provided a valuable link between the police and the wider public in his role as police media liaison officer. much we miss you. We all love you"
. . . and all the rest!!! !